Posted July 29, 2016 under Bali Food, Food. Have you ever had the pleasure of eating some really excellent Balinese food? I have – and I have got to tell you, the combination of flavours, the tastes and the freshness of the ingredients puts this stunning cuisine right at the top of my list of favourites. 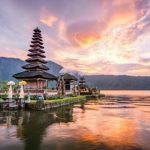 If you’re debating where to go on your next holiday, I would have to recommend that you consider Bali as an option – and especially if you’re someone who travels purely for your stomach (never a bad thing). You won’t be disappointed by the range of flavours, the ingenuity and the mixture of cultures that invariably happens in a place as culturally diverse as Bali – and as frequented by travellers and tourists alike. 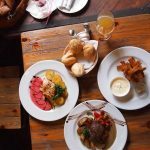 If you’re after an option for your next holiday, why don’t you take a look at Travezl’s Bali Food Tour options to get your head around the best bits? Food is part of so much in Bali. Traditional roles see women performing the major roles of food preparation – but when there’s a celebration or a ceremony (top tip – these happen a lot) all of the men in the village will get together to cook the meals for the festival or whatever the event is. Rice plays a really big role in Balinese food – and unless there’s a festival or a celebration of some kind, Balinese people will traditionally eat a pretty simple meal of rice and some kind of meat. Indonesian is the predominant kind of cuisine as you will soon see! Ok – now you have a bit of background, let’s take a look at some of the traditional dishes. Gado Gado. This means ‘mix mix’ and is basically exactly that. Gado Gado is found on the menu in most restaurants and is a combination of vegetables, egg and satay sauce which you can eat at any time of day and in any order. Sate. Another delicious option for a snack or as an accompaniment to a larger meal, the sate consists of thinly sliced meat which is threaded on a skewer, and is served with a peanut sauce. This fragrant and spicy dish is a great entry into the world of Indonesian food. Nasi Goreng. If you’ve ever been a student, you will know the value of Mi Goreng – but did you know that this ubiquitous student dish is a type of Indonesian offering? Nasi Goreng is the rice version and it is basically fried rice served with a fried egg on top. YUM. You’ll find this in most restaurants and will enjoy it no matter where you go. Babi Guling. This is suckling pig. Yeah. I know. WOW. Make sure you give this a try in a restaurant where it’s offered as a speciality. The crackling, the crunch of the meat, the juiciness of it… My mouth is watering as I write. Really. Be sure to check it out in Ubud where a couple of restaurants make a really good go of it. Beef Rendang: Rich, spicy and coconutty, this beef dish is a definite must-try on your list. Try it wherever you can and enjoy the tasty, rich flavours. Enjoy your next trip to Bali and be sure to have your adventurous palate packed and ready to go. The food here is nothing short of amazing, and you’ll be sure to come home with a few new favourite dishes in your repertoire.